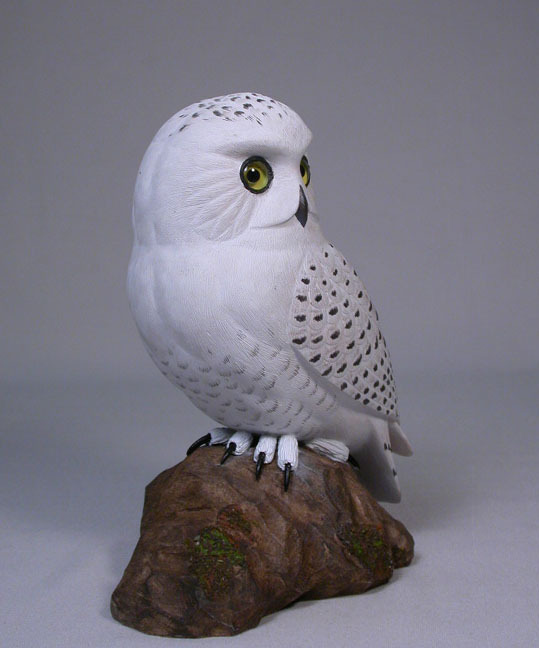 This is an original, fully detailed carving. 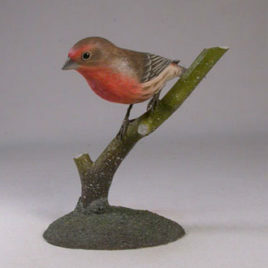 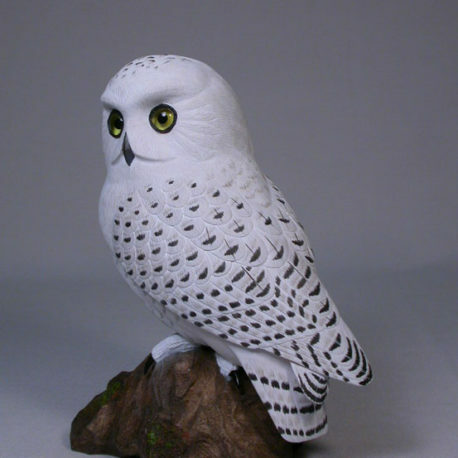 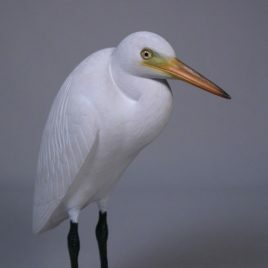 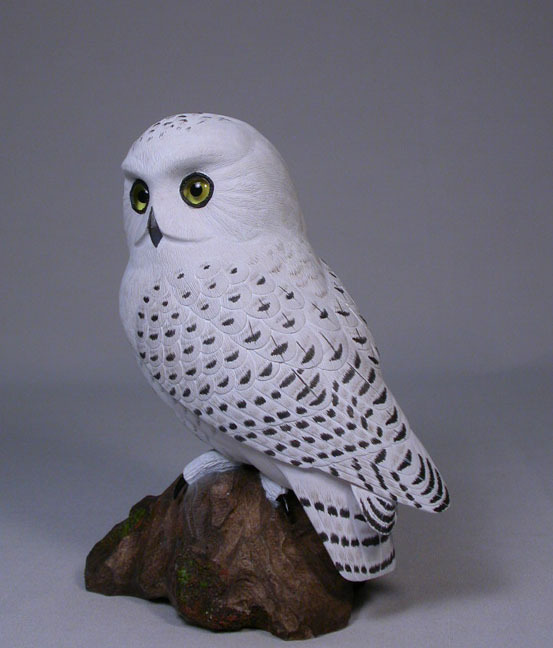 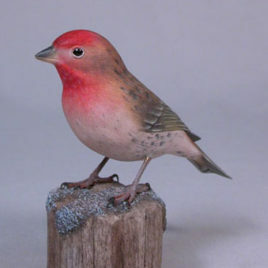 The bird is entirely hand carved from basswood and painted with acrylic colors. 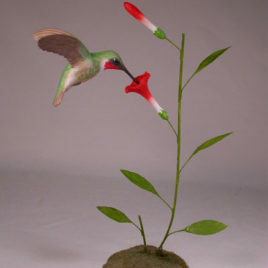 It is mounted on a hand carved and hand painted wooden base. 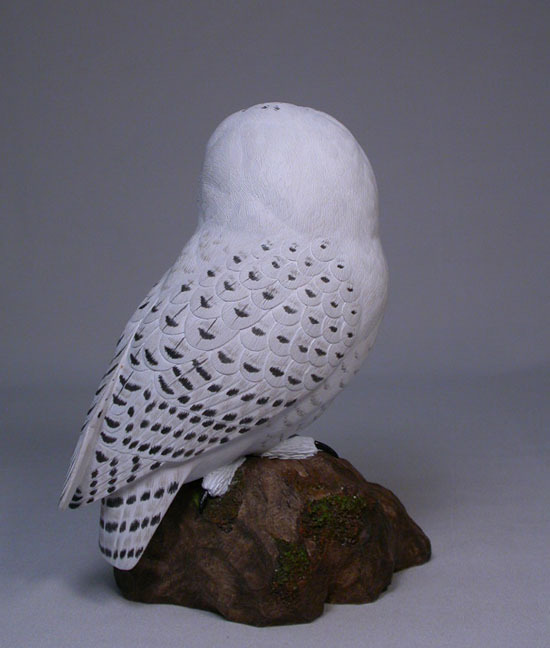 This magnificent, fully-detailed carving measures 7 inches from beak to tail, and stands 7-1/2 inches tall. 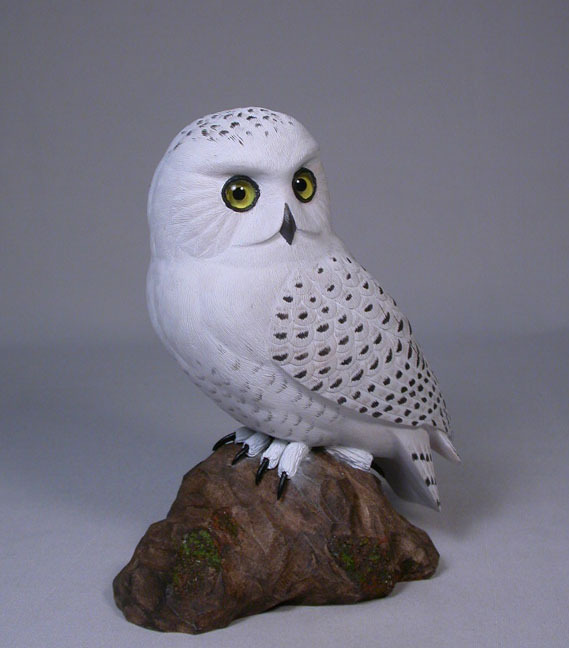 Glass eyes and the feet are hand made from 2-part product combines of sculpting clay.